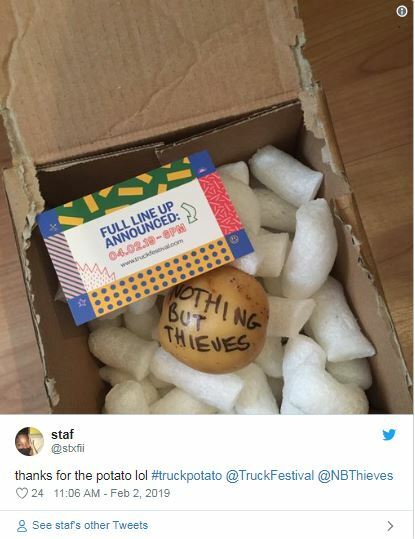 Truck Festival 2019 have been leaking its own line-up in a very unique way… by sending potato spuds in the post! 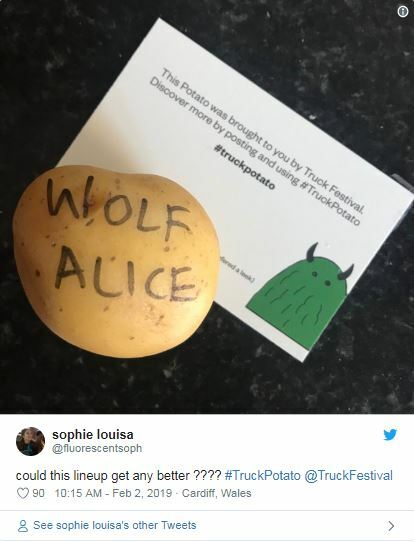 Inside the pack, Truck Festival have also included a series of riddles pointing to other potential performers. 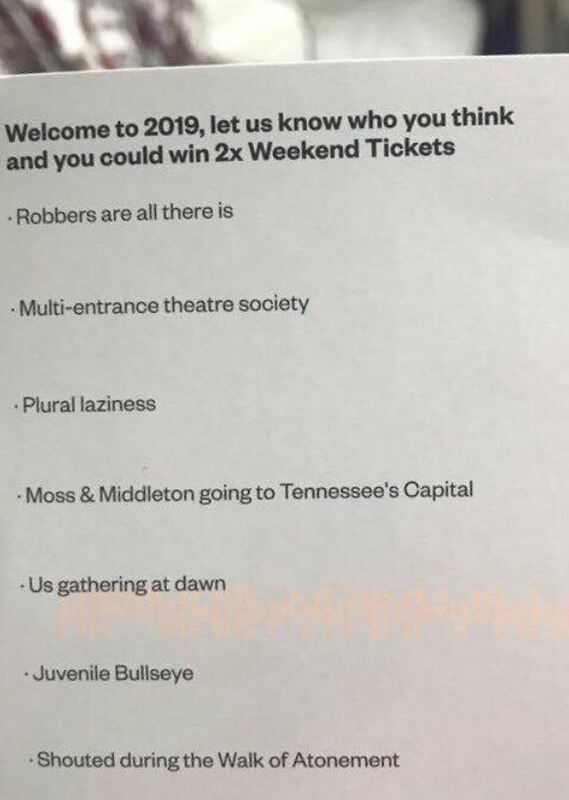 NME believes that the riddles suggest that Nothing But Thieves, Two Door Cinema Club, IDLES, Kate Nash, You Me At Six, Foals and Shame will be part of this year’s line-up. The Oxfordshire festival will take place on the 26th-28th July this year, their official 2019 announcement is scheduled for Monday 4th February at 6 pm.